>> Up to 3 KM range (MAX 5KM open field) , each channels with 38 privacy codes. 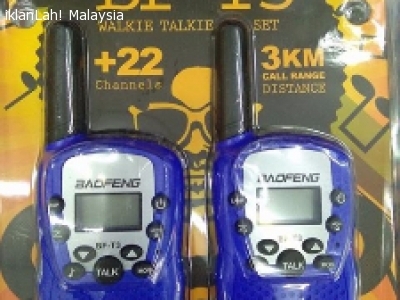 >> 10 Call tones(includes 5 animal call tones) , Buitt-in flashlight , Backlit display,This simple,economical and convenient item can meet your requirement. >> VOX hands-free communication without the need for an audio accessory. >> Powered by 3xAAA batteries(Not included) .